Rule #1 for ruler work is to never raise the foot while the needle is down or lower the needle while the foot is up. Most long arm rulers are too thick to be safely used behind the foot of a low shank machine. -the Janome 6600 and 7700 machines are high shank machines that use the 4.5mm Rulers -the accufeed system can interfere with thicker rulers behind the foot - do not try using the 6mm Longarm Rulers. 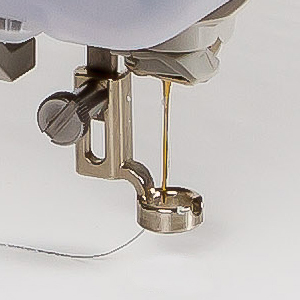 Bernina 7 Series and 8 Series machines benefit from a MS foot as it allows the foot to sit lower to the plate and helps remove the hop. - make sure the auto lift is turned off. The information listed below seems to be a great fix for the issues often experienced when template quilting on Husqvarna Viking sewing machines. This includes Designer Diamonds, Rubys, Sapphires etc. 1. Do not choose FREE MOTION setting. 2. Go into settings menu and uncheck AUTO FEED DOG DROP - this will open another Menu where you can CHECK to lower the feed dogs. 3. Then uncheck SENSOR SYSTEM. 4. 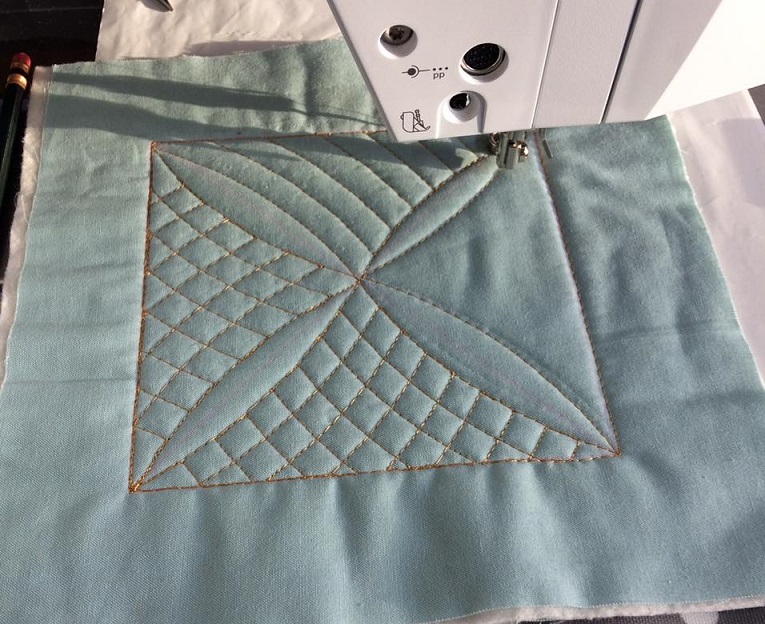 Use the STRAIGHT STITCH (make sure to center your needle in the RULER FOOT) and you should be good. however, if you experience problems, please try the above changes.